Previously I have written about common errors I have encountered in reviewing Phase One Environmental Site Assessment reports, now it’s time to focus on some of the commonplace mistakes I have seen in planning and conducting Phase Two ESAs. A properly scoped Phase Two needs to be based on accurate site data, which should entail completing a thorough Phase One ESA to identify actual and potential environmental concerns. An incomplete or deficient Phase One ESA (or absence of any prior site assessment) can lead to un-investigated areas, unidentified contaminants, missed contamination, and costly oversights when it comes to completion of the Phase Two work. 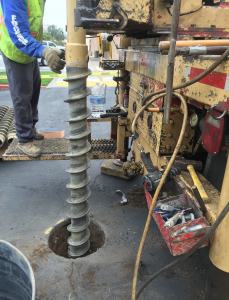 With the high costs of drilling, sampling and lab analyses – and the even higher costs of remediation; it is vital that the consultant knows where to look and what to look for, in any intrusive site investigation; which requires a diligent and comprehensive Phase One ESA to get it right. A Phase Two ESA can be required for a variety of reasons; including transactional due diligence, litigation, remedial planning, and obtaining regulatory approvals. The consultant must know and understand all client and stakeholder objectives, as well as the local regulatory requirements. Conducting a CSA-compliant Phase Two ESA when the Client is expecting ASTM protocols and the regulator requires a different legislation-specific format to support regulatory approval will lead to problems, delays, possible costs over-runs – and a very dissatisfied client. Two-way communication and full understanding of the project before, during and after the Phase Two plays an important role in successful and timely project completion. Once the project requirements are defined, a Sampling Plan must be developed to meet these requirements. Too often, mistakes are made when the number and location of sampling points is underestimated, or improperly selected. The consultant must consider all the potentially impacted media to be sampled. This could include not just soil; but often groundwater, sediment, and surface water; and sometimes soil vapour, indoor air quality, and building materials. Consideration of the frequency and extent of sampling is necessary to investigate all relevant media and to fully characterize the environmental condition of the Site. Utilizing a Conceptual Site Model to consider the contaminant sources, migration pathways and potential receptors unique to the Phase Two property is a useful and too often under-used method of developing a suitable Sampling Plan. Site specific conditions, access, logistics, safety and (unavoidable) budgetary considerations also play a huge part in properly scoping and conducting any successful Phase Two ESA, but these are all wide ranging topics to cover another day. 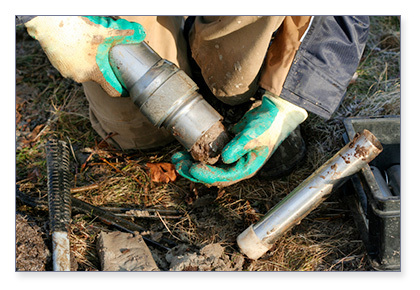 Next month I will discuss other methods to recognize and avoid common errors in field sampling.